I have noticed on your packaging that there are five glasses pouring into the nappy. So, how much liquid does the nappy hold? The diagram is a graphical image to show that the nappy/nappy pants have good absorbency and therefore can provide protection against leaks. As an indicative guide each cup holds a different liquid capacity and varies by nappy size. Why does the back waist band on the outside of the nappy have holes in it? BabyLove Cosifit™ has a breathable cover to ensure that when the nappy is damp, moisture is able to escape through the outer layers, therefore reducing the risk of skin problems. The design of the holes in the back waist band area further assists with this breathability function. Why don’t BabyLove nappies have stretch tabs? While stretchy tabs can provide extra flexibility on the waistline, the elasticity of the stretchy tabs can wear off very quickly causing the nappy to sag when wet. By combining our larger stretchy waist back and Cosifit™ leg elastics with non-stretch tabs, BabyLove provides a comfortable and snug fit nappy that won’t sag easily when wet. What changes have you made to the BabyLove nappies? The only change to BabyLove Cosifit nappies is the update of the print designs on the nappies themselves. All BabyLove Cosifit nappies continue to feature the same shape, fit, softness and absorbency that you know and love. Why is the new BabyLove Cosifit pack smaller than the old pack? The packs are slightly more compact so they fit better on shelves. After extensive testing and modification to our packaging processes we found we could reduce the pack size without changing product thickness or absorbency while maintaining the same number of pieces in our packs. The packaging states “Up to 12 hours Absorption”; why did my nappy leak before the 12 hours? BabyLove Cosifit™ nappies have undergone significant laboratory and home use testing and can last up to 12 hours. However, every child is different in shape and size, so occasionally leakage problems may occur. Other factors, such as how often the child urinates or has a bowel movement may also affect the absorbency of the nappy. The weight range on the pack is a guide only, to help Mums and Dads determine the best size nappy for their child. Sometimes, moving to the next size up will stop leakage issues. Our Cosifit™ nappy has a “Double Support Gather”, designed to follow your baby’s movements, prevent gaps and greatly assist in preventing leakage. With our revolutionary design, it distributes the pressure from the leg band elastic, helping prevent red marks, while maintaining superior leakage protection. I noticed that BabyLove have changed their packaging design, why? BabyLove products are designed to be unisex and feedback from our mums and dads was that our current packaging was not doing a good job of communicating this. The most suggested colour was “Purple” so we are in the process of changing all our current BabyLove products (Nappies, Nappy Pants and Wipes) from Blue to Purple. In addition, we hope it will help our parents find BabyLove more easily on the shelves. I have accidentally put a nappy in the washing machine, how do I remove it? The padding inside BabyLove nappies is made from a mixture of wood pulp and a Super Absorbent Polymer called Polyacrylate. The Super Absorbent starts in a crystal form and turns into a gel when wet. This, combined with the wood pulp helps to prevent nappy leakage. In a machine wash the nappy would have absorbed an enormous amount of water. This, combined with the washing action, would have resulted in the nappy disintegrating into small pieces, most likely clumps. You will need to clean both the washing machine and any clothes that were in the wash with the nappy. Firstly remove all clothes from the washing machine. Scoop out any left over nappy/pant, wood pulp and absorbency crystals that may be left in the machine. Remove and clean the machine filter, then replace. Once the filter has been replaced, run a normal wash cycle with no clothes in the machine. If you like, add some anti- bacterial liquid to the cycle to eliminate any germs present. Once the machine is clean, re-wash any clothes that have nappy particles on them. If any item of clothing is severely affected, wash it separately by hand and then re-wash it in the machine. Once again add some anti-bacterial rinse to the wash if you desire. Clean the washing machine filter again once the cycle is complete. If there are any remaining particles on your clothes remove them with a lint brush once the clothes are dry. Can you please explain the weight range guide that appears on the BabyLove packs? How have the weight ranges changed? BabyLove nappies and nappy pants are available in a range of sizes to suit every stage of development. Every BabyLove nappy and nappy pants pack features a weight range table to help parents select the most appropriate nappy for their baby. Every child is an individual, so the shape, fit and size may vary between packs. The weight range is a guide only to help Mums and Dads to determine the best size nappy for their child. The table below outlines the weight guide and slight overlaps between each of the sizes to help guide parents to find the best nappies for their child. Why has my baby’s nappy started to leak? 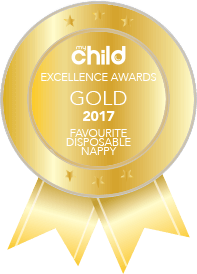 BabyLove nappies are designed for day and night time use and have a set of specifications, which are strictly followed by our Quality Team. Every child is different in shape and size, so, occasionally leakage problems may occur. Other factors, such as how often the child has a bladder or bowel movement may also affect the absorbency of the nappy. The weight range on the pack is a guide only to help mums and dads determine the best size nappy for their child. Leakage issues can often be resolved by moving to the next size up. What are BabyLove Nappies made from? The padding inside BabyLove nappies is made of a mixture of wood pulp and a Super Absorbent Polymer called Polyacrylate. The Super Absorbent Polymers start in a crystal form and turns to a gel when wet. This, combined with the wood pulp, helps prevent nappy leakage. Sometimes, however, the safe gel crystals can be found on your baby’s skin during use, don’t worry, it will not harm your child in any way. Simply remove the crystals with a damp cloth or nappy wipe. Leakage control guards that work as a barrier to help prevent leakage. How do I remove the gel from my baby’s skin? If you notice gel crystals on your baby’s skin simply wipe away with a damp washcloth or nappy wipe. What is the gel I have found on my baby’s skin? BabyLove nappies contain a Super Absorbent Polymer called Polyacrylate and is mixed in with the nappy padding. This material turns liquid into gel, helping prevent nappy leakage. The Super Absorbent Polymers start in a granulae/ crystal form and turns to gel once wet. Occasionally this safe, gel material will seep out of the pad and onto your baby’s skin. The gel material is quite safe and will not harm your baby in any way. Why does BabyLove have a 1, 2, 3 feature on the front tape? BabyLove features an easy to use 1,2,3 guide on the front tape of the nappy so Mums can easily position the tabs according to the most appropriate fit around the waist for their baby. This front tape features cute Wiggly designs on Newborn and Infant nappies and more exciting designs coming soon on the other sizes. What is BabyLove DriWave™ and how does it work? The thickness of a newborn baby’s skin is only one third of adults, making it very delicate. When your newborn feeds entirely on milk the result is loose poos that tend to spread all over the babies buttock and genital area. Baby’s poos and urine are acidic and can cause irritation on a baby’s sensitive skin. A newborn also urinates frequently and the only way to keep them dry is to constantly change their nappies. In addition to having highly sensitive skin, a newborns navel area is also sensitive as their navel heals after the umbilical cord detaches. A normal nappy does not take into consideration that it is important to keep this area clean, dry and exposed. The revolutionary BabyLove DriWave™ nappy is the only nappy specifically designed with babies’ skin and ultimate comfort in mind (esp. newborns and infant). DriWave™ technology features a unique top sheet that has a loose on top & dense at bottom structure which maximizes liquid absorption to the bottom and keep surface dry. The soft wave-like pattern on the top sheet also means less direct skin contact area, therefore, reducing the risk of skin irritation. My frontal panel looks different. What has changed? We have changed the frontal panel to white while maintaining the “1, 2, 3” and have included a new wave pattern. The wave pattern design helps provide a better tab grip for a more secure nappy. Why is there less nappies in the Jumbo box, but the Bulk pack is still the same? It has always been our aim at Unicharm Australasia to provide the best quality products with the most innovative technology and the best price for our parents. We have managed to maintain our pricepoint for over 8 years, however, in order to provide these technology improvements to our nappies we have unfortunately had to reduce the number of nappies in our Jumbo. Convenience and Bulk packs remain unchanged. Why has the Driwave changed from Green to White? We have been informed by our Babylove parents that it is important for their baby’s health and well-being to be able to monitor the colour and condition of their child’s output. By changing our DRIwave material from Green to White, this helps assist our parents in this process. Where has baby bud gone? Why have the designs on the Nappy Pants changed? Are the Nappy Pants sizes different? Have the piece counts changed? Why has the packaging changed? What is the DriWave sheet? What’s changed with the new Nappy Pants? If you have any general enquiries, click here. If you’d like to give any product feedback, click here.